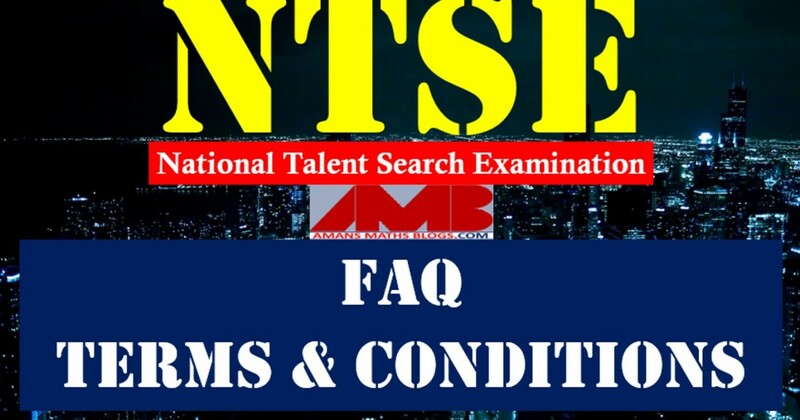 NTSE stands for National Talent Search Examination. It is a National level scholarship program which is conducted by NCERT (National Council of Educational Research and Training). NTSE scholarship program is to identify the talent of students of Class X of CBSE board or any recognising board of educational. It is the one of the most prestigious exams in India. For more details about NTSE, Click Here. Q1. What is this scheme about? A1. This scheme is aimed at identification of talented students and awarding them scholarship to pursue their further studies and nurture them. Q2. How old is this scheme? A2. The scheme is almost as old as NCERT. In 1963, the scheme was introduced as National Science Talent Search Scheme. Q3. How long successful candidates will be getting scholarship? A3. The awardees studying in Science, Social Science, Humanities, Language, Commerce, Vocational Studies and fine arts are eligible to receive scholarship up to Ph.D. level, whereas the awardees studying professional courses in medicine engineering technology management and law are eligible to receive the scholarship up to second degree level. Q4. How talented students are identified? A4. Talented students are identified through two-tier examination process. Q5. What is this two-tier examination? A5. This is a scheme in which exam is conducted in two stages. Q6. Who conduct first level examination? A6. NTSE stage 1 is conducted by states and union territories. The purpose of this stage 1 examination is to shortlist the students for the NTSE Stage 2 Examination, which is conducted by NCERT. Q7. Who conducts the second level examination? Q8. What is the criteria for the selection to NTSE Stage 2 examination? A8. There is quota earmarked for all the states/UTs. The state quota is computed on the basis of the student’s enrolment at secondary level with a minimum of 10 for union territory and 25 for a states. Q9. When can one appear for the NTSE Stage 1? A9. 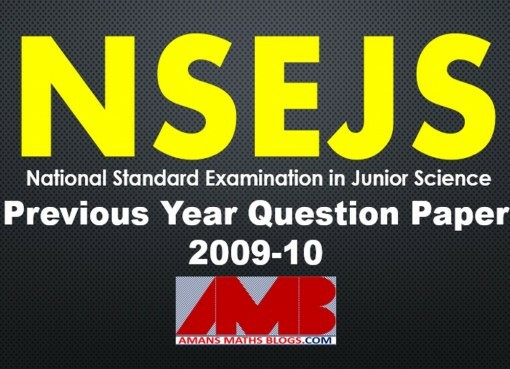 NTSE stage 1 is to open to the students who are presently studying in Class X.
Q10. Does this scheme available for other class also? A10. No, this scheme is only for the students currently studying in Class X.
Q11. How many scholarship are awarded every year? A11. Every year about 1000 Scholarship are awarded. Q12. Is there any reservation for the NTS Scholarships? A12. Yes, there is a provision of reservation for SC and ST candidates based on National norms of 15 percent and 7.5 percent respectively only candidates who obtain minimum qualifying marks under these categories are eligible for scholarship. Q13. Does the scheme have provision of reservation for physically challenged students? A13. Yes, there is provision of 3 percent reservation for physically challenged students. Q14. Can my son/daughter who is studying in India appear NTSE stage 2 Exam directly? A14. No, In order to appear for the NTSE Stage 2 examination the candidate name must be recommended by the State/UT to which he/she belongs. Q15. Who can appear in this exam? A15. All students studying in Class X in any type of recognised school including Kendriya Vidyalayas, Sainik Schools, and Military School will be eligible to appear at the State Level Examination from the states in which the school is located. Q16. Are there any eligibility conditions for appear in the conditions for appearing in the screening examination like qualifying percentage of marks in the previous year annual examination etc.? A16. Eligibility criteria for NTSE stage 1 varies State to State. The state/UT may impose any eligibility condition for appearing in Stage 1 examination. Q17. When will the notification be given? A17. For NTSE stage 1 examination, the advertising is released in the month of July-August. Q18. Where I can get the application for stage 1? A18. You need to contact Liaison officer of your States/UT. Address of Liaison Officers are placed on the NCERT site www.ncert.nic.in. Q19. Do all the states/UTs conduct NTSE Stage 1 exam every year? A19. Yes, each state/UT conducts its own NTSE stage 1 examination. Q20. When is the NTSE Stage 1 examination held? A20. The state level screening examination is normally conducted in all the states/UTs on second Sunday of November except in Nagaland, Andaman and Nicobar Island, Meghalaya and Mizoram, where it is conducted on second Saturday of November every year until and unless some special circumstances occur. Q21. When to appear for NTSE Stage 1? A21. One can appear for NTSE stage 1 examination in the month of November for which you need to apply in the month of July-September. Q22. Should we apply through school or directly? A22. You need to submit your application after getting it duly signed by the principal of the school before the due date as advertised/circulated by your State/UTs. Q23. How can I apply for NTSE Stage 1 examination? A23. If you are a student of class X of a recognised school then you need to look for the advertisement or circular in the school by the respective State/UT Government for the above said examination and act as per the requirement given in the state advertisement. Q24. If I have some other queries related to NTSE stage 1 examination, then whom should I approach? A24. In case of any other information/query about the details of the state level examination you may approach the Liaison officers of your State/UTs. NCERT does not entertain any queries related to NTSE stage 1 application. Q25. Can we send our NTSE Application directly to NCERT? A25. No, you are advised to submit your application to your Liaison officers of State/UT. Q26. What will be the medium of examination? A26. The medium of the examination shall be as announced by the states and UTs. Q27. Is there any fee for appearing in the Stage 1 examination? A27. You need to check from the State/UTs advertisement/circular. Each State/UT has its own rules with respect to charging of fee. Q28. What is the scheme of examination at NTSE Stage 1? A28. NTSE stage 1 examination normally has three parts: Part I Mentally Ability Test (MAT), Part II Language Test (LT) and Part III: Scholastic Aptitude Test (SAT). Q29. When State level examination result are announced? A29. The result of the State Level Talent Search Examination is declared generally in the months of January/February by the States/UTs. Q30. Are marks scored in the NTSE Stage 1 examination added to the NTSE Stage 2 exam conducted by the NCERT? Q31. Is there any fee for appearing in the National Level Examination? A31. No, such fees is charged for appearing in NTSE Stage 2 examination. Q32. Who can appear for the NTSE Stage 2 examination? A32. Only the students selected by the States/UTs on the basis of their screening examination shall be eligible to appear in the NTSE Stage 2 to be conducted by the NCERT. Q33. When NTSE Stage 2 exam is conducted? A33. NTSE Stage 2 examination is conducted on the second Sunday of May each year. Q34. I have cleared NTSE stage 1 examination, Do I have to fill and submit another form for stage 2 Examination. A34. No, you need fill and send any form for NTSE Stage 2 examination. Q35. Whom should I contact for my Roll number for Stage 2 Examination? A35. There is no need to contact anyone. The NCERT will convey the Roll Number, the Venue and the time for the NTSE Stage 2 National Level Examination to all such candidates directly through speed post. Q36. My son/daughter is studying abroad. Can he/she appear for NTSE? A36. Any students of Indian Nationality studying abroad at the class X level can appear, provided that he/she has secured 60% marks in the previous examination. Such students are exempted from NTSE Stage 1 examination and are permitted to directly for NTSE Stage 2 Examination. The NCERT will allot roll numbers to such students. If such students are selected, the NTSE Scholarship shall be paid for pursuing studies in India only. Q37. What will be the syllabus for the NTSE Stage 2? A37. There is no prescribed syllabus for the NTSE Stage 2 examination. But, the standards of items shall be confirming to secondary level. Q38. How many papers will be there in stage 2? How many questions asked in these papers? What will be the time limit for these papers? A38. 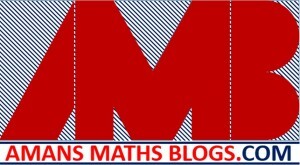 For NTSE Stage 2 examination, there are three papers, Mental Ability Test (MAT) of 50 questions with duration 45 minutes. Language Test (LT) of 50 questions with duration 45 minutes and Scholastic Aptitude Test (SAT) of 100 questions with duration 90 minutes. Q39. Is there any negative marking? A39. 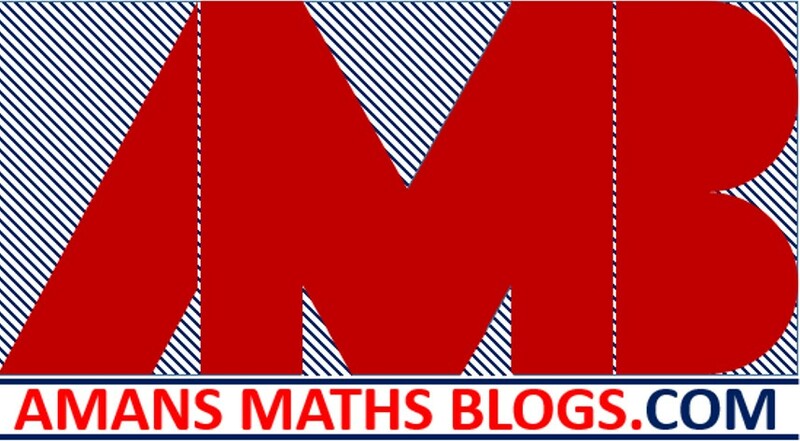 Yes, there is a negative marking in NTSE Stage 2 examination. For each wrong answer 1/3 marks will deducted and no marks will be deducted for unattempt questions. Q40. Language Test are conducted in how many language? A40. In NTSE Stage 2 Language Test is conducted in Hindi and English. Candidates need to choose either in Hindi or English. Q41. Is Language Test a qualifying test for NTSE Stage 2? A41. Yes, Language test is a qualifying nature. It means the marks scored in language test will not be counted for final merit. Q42. Do candidates get separate answer sheet to mark answers? A42. Yes, in all the three papers OMR answer sheets are provided. Q43. I am from Assam, will I be getting questions booklet for SAT and MAT in Asamiya? A43. Yes, you will be provided with questions booklet in Asamiya language. The tests are also in available Asamiya, Bangla, English, Malayalam, Gujrati Hindi, Kannda Marathi, Odia Punjabi, Tamil, Telgu and Urdu. Q44. I have shifted to new location after my NTSE Stage 1 examination cleared, how will I get my roll number? A44. In case there is nay change of address prior to the NTSE Stage 2 Examination, it shall be obligation on the part of the candidates to communicate the same to the state examining authority, which I turn shall inform NCERT. Q45. Do we centers in all the states capitals in the country? A45. There are 36 centres across country. Normally the candidates belonging to a particular state shall be allotted the centre in the same state for the National level Examination. Q46. Is there any interview in the examination schedule? A46. There is no interview. Selection is based on the performance of written test in MAT and SAT and obtaining minimum marks in all the papers Language Test. Q47. When NTSE Stage 2 Result are declared? A47. Normally its result are declared in the month of August. Q48. How will come to know about results? A48. Results will be uploaded on NCERT website. Only the selected candidates shall be informed by letters sent through speed post. Q49. Is there any provision of rechecking or re-totalling? A49. NTSE Stage 2 Examination is computer processed. NCERT takes extreme care in result processing. There is no provision for rechecking and re-totalling. Note: All these Question and Answers are taken from NCERT official website. For more sure, Click Here. If a students studying in academic courses like Science, Social Science, Humanities, Language, Commerce, Vocational, Fine arts, then he is eligible to receive the NTSE Scholarship up to Ph.D. level education where if the students studying in professional courses like Engineering, Medicals and Managements etc., then he is eligible for the NTSE scholarship up to second degree level. Any student getting any other Scholarship for a period exceeding six months on a regular monthly basis will make him/her ineligible for receipt of NTSE Scholarship. In the Scholarship once discontinued will not be revived in any case. All the students must also give an undertaking each year that they are not receiving scholarship or award from any other institutions. Further no student who is employed is eligible for payment of Scholarship and accordingly, every student has to provide a certificate that he or she is not employed. No Scholarship shall be available for studies abroad for any course. In view of online payment of Scholarship to the awardee the stipulated time period is reduced from 24 months to 12 months. Hence from the academic session 2015-2016 onwards the scholarship will commence from 1st April to 31st March of the academic session. It will be paid for maximum period of 12 months or period of course whichever is minimum. The claim bill is to be submitted for each class/year separately before 31st December every year, but not later than 31st After that Scholarship will be discontinued once for all. If any student did not resubmit his/her claim bill within 12 months after receiving from NCERT office in online mode. The scholarship of such candidate will be discontinued once for all. If a student leave his/her courses of study within one month of admission. NTSE Scholarship is not given to the students.